The last 20 years have seen an increasing interest in the class of joint models for longitudinal and time-to-event data. These models constitute an attractive paradigm for the analysis of follow-up data that is mainly applicable in two settings: First, when focus is on a survival outcome and we wish to account for the effect of an endogenous time-dependent covariate measured with error, and second, when focus is on the longitudinal outcome and we wish to correct for nonrandom dropout. 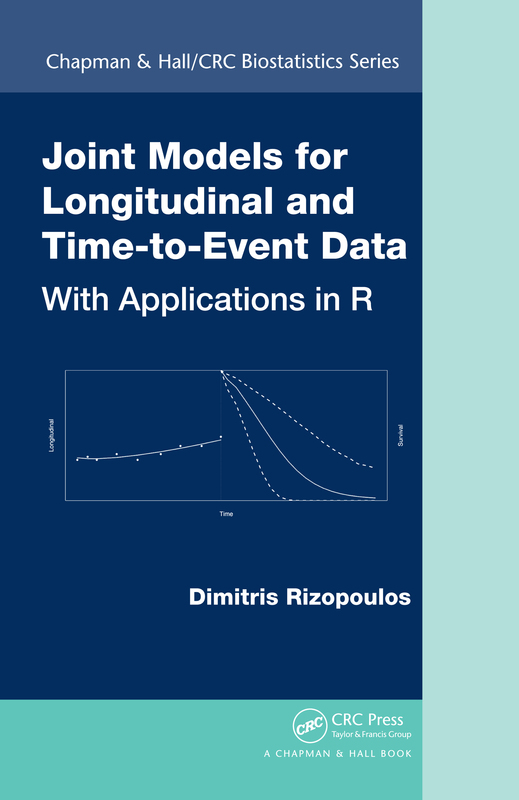 Aimed for applied researchers and graduate students, the text Joint Models for Longitudinal and Time-to-Event Data, with Applications in R provides a comprehensive overview of the framework of random effects joint models. Emphasis is given on applications such that readers will obtain a clear view on the type of research questions that are best answered using a joint modeling approach, the basic features of these models, and how they can be extended in practice. Special mention is given in checking the assumptions using residual plots, and on dynamic predictions for the survival and longitudinal outcomes. This accompanying Web site provides the code used in the book, which is based on its greatest portion on the freely available R package JM.